NEW YORK, May 11, 2016 – The International Council of Shopping Centers (ICSC) has raised the stakes at this year’s RECon, the world’s largest retail real estate conference to be held May 22-25 in Las Vegas. The show is currently on the fast track, both in terms of attendance–which is trending ahead of last year’s record 36,000+ attendees–and programming, which boasts four full days dedicated to professional development, educational sessions, and networking opportunities. ICSC understands the need for accessible professional development has never been more significant. That is why RECon has dramatically expanded its educational resources to provide attendees with all the tools they need to advance their careers, keep abreast of new technology and best practices, and fulfill continuing education requirements. Before the exhibit halls open, take advantage of the non-compete time to enhance your career skills at Professional Development Day. The full day dedicated to education and training offers something for everyone, from quick-hitting sessions to in-depth educational courses on industry concepts. Attendees with Full Convention Registration can attend for no additional fee. Those who have an Exhibitor, Marketplace Mall, MAXI or SPREE RECon badge can register for an additional $250. The educational opportunities will continue throughout the show–the newly revamped program features 25 Professional Development Workshops dedicated to education and certification. Led by ICSC’s world-class speakers and faculty, the high-level courses offer a variety of timely topics across a range of disciplines, and explore hot-button topics like experiential retail, property redevelopment and repositioning, retail technology, and sustainability trends. New this year, experience a little piece of Silicon Valley at the Technology Lab, providing a first-hand look at the future of real estate and retail technology. Come recharge, meet, and mingle with a select group of cutting-edge technology companies who are poised to innovate in the real estate industry in 2016. See the same companies compete for the title of “the next big thing” from 10:00 – 11:00 AM on Monday and Tuesday at the Westgate Hotel. Pencil in some time in between deal-making to catch blockbuster sessions and keynotes headlined by Earvin “Magic” Johnson, Magic Johnson Enterprises, and featuring Tony Hsieh, CEO, Zappos; Bobbi Brown, founder and chief creative officer of Bobbi Brown Cosmetics; Gary Friedman, Restoration Hardware chairman and CEO; and Parag Khanna, co-founder and CEO, Factotum. Don’t forget to grab a front row seat to ICSC Live! Produced directly on the show floor, the C-suite level interview series is back and better than ever before. Hear what the industry’s most powerful players have to say as they catch up with host ICSC Spokesman Jesse Tron in the LVCC Grand Lobby on Monday and Tuesday. Check out the interview schedule and strategically plan your 15-minute water break. Can’t attend? 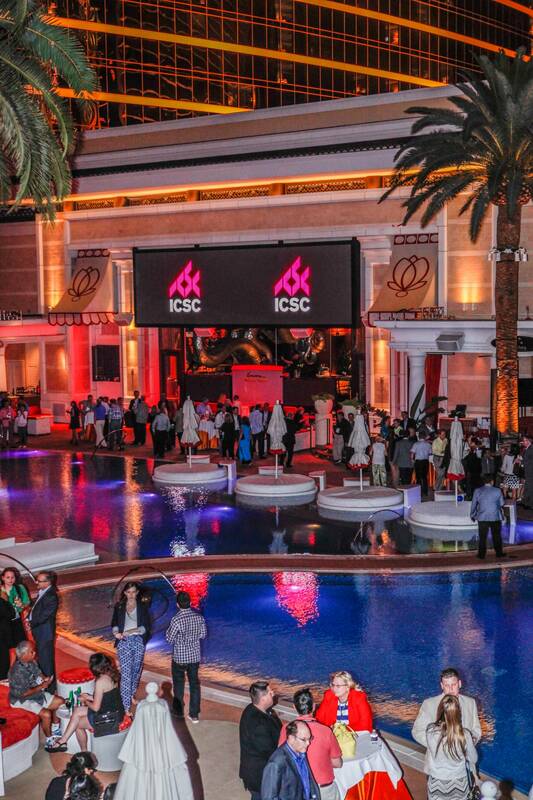 See what you missed and watch ICSC Live! on ICSC’s YouTube channel and via iTunes Podcasts. Want to emerge from Vegas a real winner? Hit the show floor to secure deals, deals, and more deals. ICSC estimates that approximately 50 percent of all industry deals are conceived of or consummated at RECon. Whether seeking new partnerships, leases, projects or developments, the best way to conduct a year’s worth of business in just a few days is on the RECon show floor. Academy-style courses, industry panels, blockbuster keynotes, power sessions, and more are offered round-the-clock Sunday through Wednesday and are categorized by specialty to help you find exactly what you’re looking for. See the full RECon program here. Don’t miss out! Follow updates on Twitter via @ICSC and use the hashtag #RECon16. Register for ICSC RECon 2016 through ICSC’s Members Services Department at 646-728-3800 or online. Press registration is complimentary. To obtain press credentials contact Noelle Malone in ICSC’s media relations department at nmalone@icsc.org or 646-728-3540.